I love this block, but it was not sure if it should have had the three green pieces alike on the bottom of the block. That is the way it is printed in the book. I think I would have like it better if I would have made it a mirror image of the top half of the block. I did not take any pictures when I made this block, so I am showing you the back of the block in hope it will help you in construction. 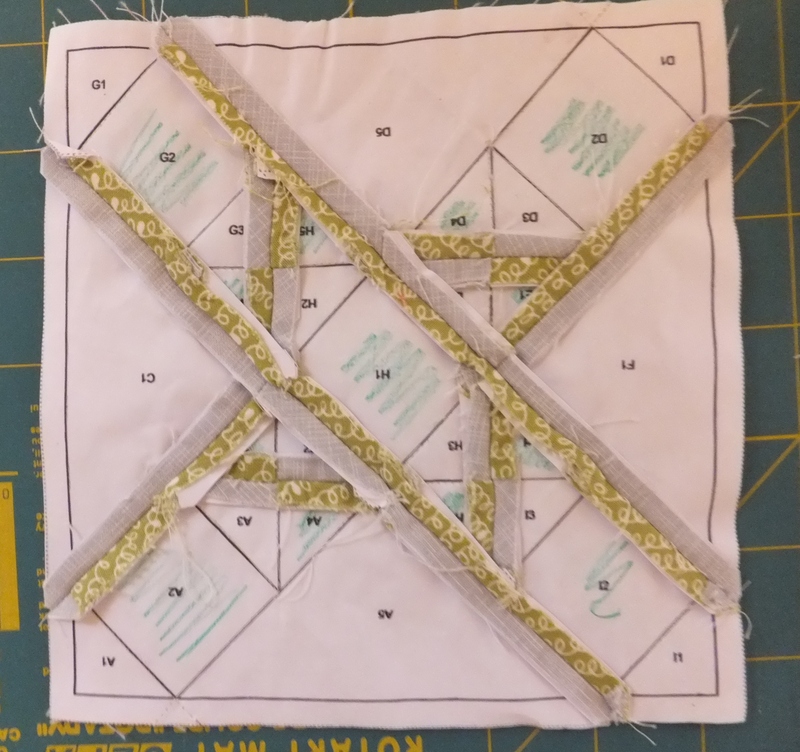 I paper-pieced this block. 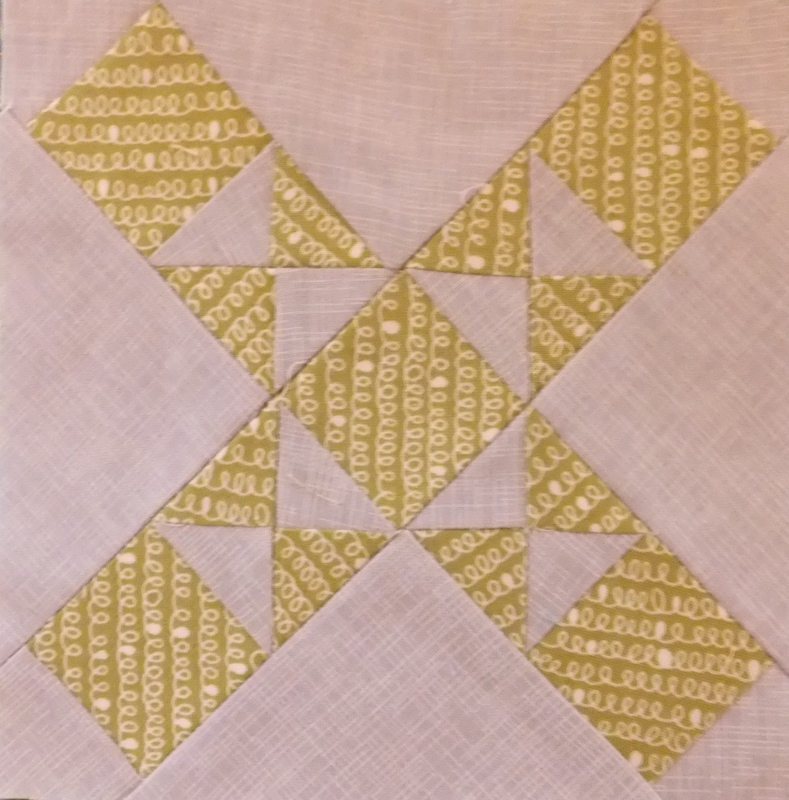 Look at my previous posts on Farmer’s Wife Quilt to get the Yahoo Group where these pattern can be downloaded for FREE. Once again, you can see that I use colored pencils so that I know where to place the fabric. 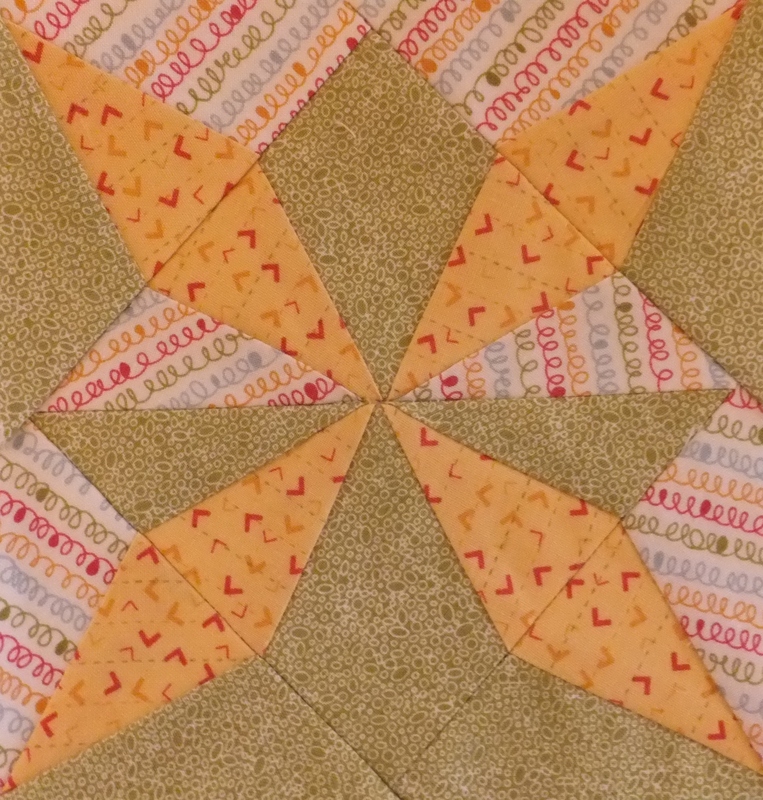 I love the secondary pattern of the star that I found in the middle of this block. I again didn’t take pictures while I put this block together, so here is a picture of the back of the block. I think I quoted the wrong number of blocks left in my last post. I have completed 18 blocks and there are 111, so that means I have 93 left. 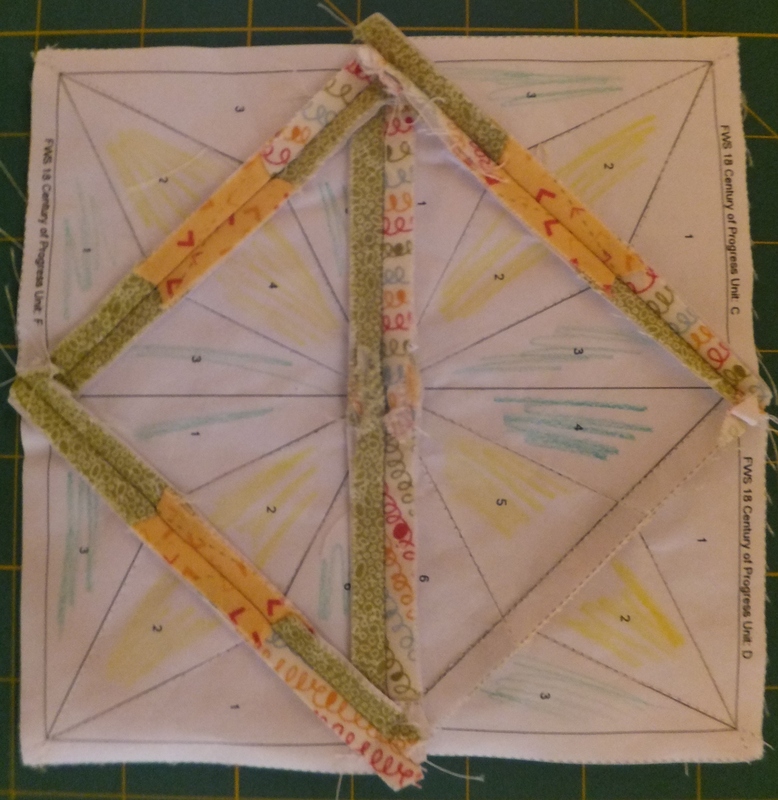 I hope you are enjoying my journey…Happy Quilting!